Here is the playlist for the Time Trials. Click on the little icon in the top left corner to scroll through and find your video. Here is the best run of the top 16 teams. These are also the cars that qualified for the Head to Head bracket. This is the final head to head bracket to determine the champion of the 2018 Red Desert Baja. Cars had to win twice in a row to advance. After the first round there is a one-and-done bracket with the cars that lost in the first round to determine 9th and 10th place. After round 2 there is a one-and-done bracket to determine 5th-8th place. In the Final Four there is a 3rd and 4th place race as well as the championship race. Cars are due August 18th, 2018. Racing will start the following week. Video and results will be posted the following Saturday, August 25th. 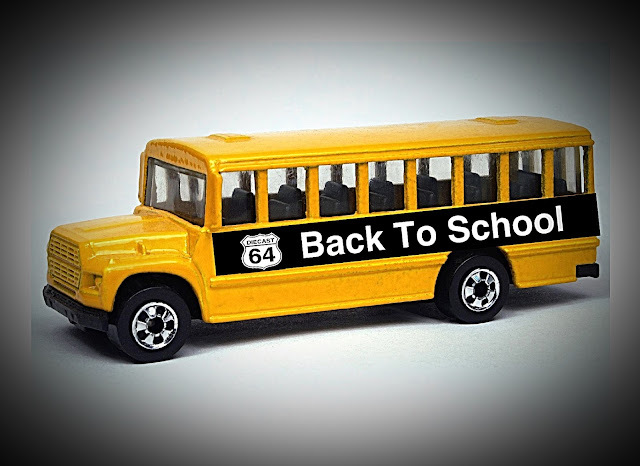 As August comes to a close so does summer and you know what that means...back to school. Our feature race for August is our Back to School race. 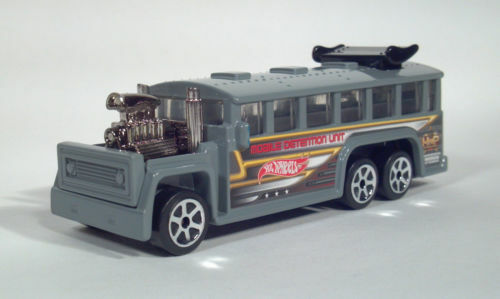 The theme of this race is buses. Your entry for this race needs to be a bus. School buses, city buses, double decker buses are all ok. No VW buses or drag buses though. Last year the buses needed to be yellow, but that is not the case this year. Buses can be any color. Either painted or stock. You can add flames, racing stripes, etc. You can also customize them for looks - big engines, spoilers, etc. Make these things look good! Buses will race on a straight downhill gravity track. Weight : 100 grams or under. 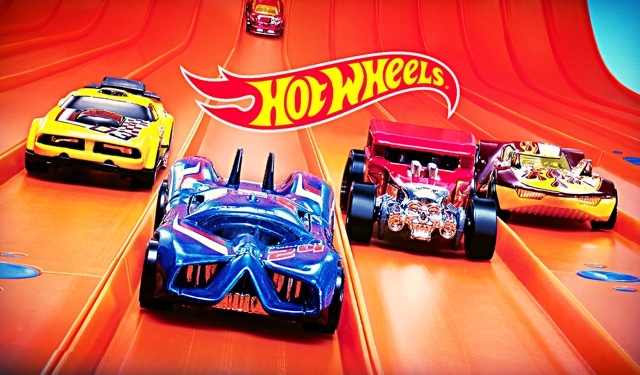 Width: must fit on Hot Wheels orange track. Racers may enter up to 2 buses. There will be a $1 entrance fee per car. Cars due August 18th, 2018. Racing will start the following week. Results and video will be posted the following Saturday, August 25th. 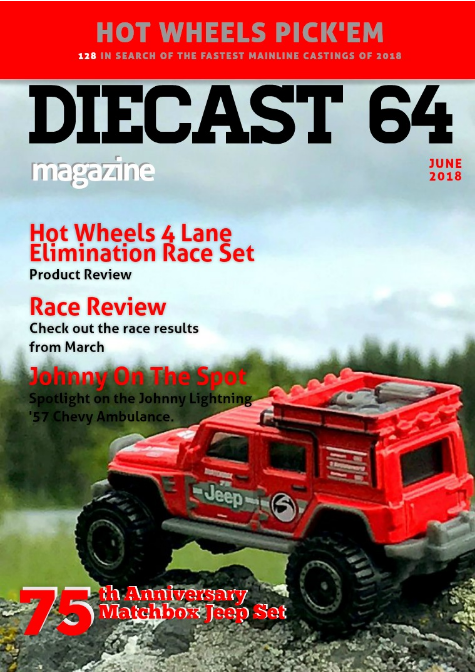 This race is part of the 2018 Diecast 64 points series. Cars are due July 21st, 2018. Racing will start the following week. Video and results will be posted the following Saturday, July 28rd. 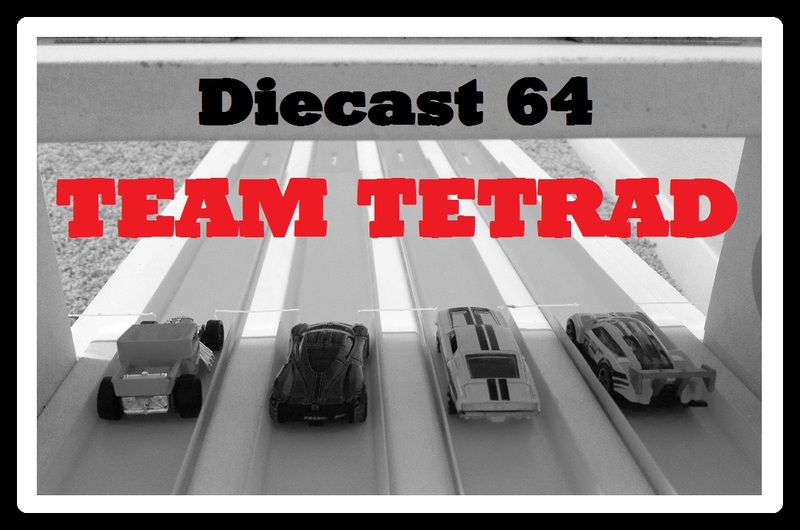 The Diecast 64 Team Tetrad is an event where each racer enters a 4 car team. All 4 cars will compete as a team. Each car will contribute to the team total. Points for each team of cars will be totaled, and a team will be declared the winner. Cars will race on a straight downhill gravity track. 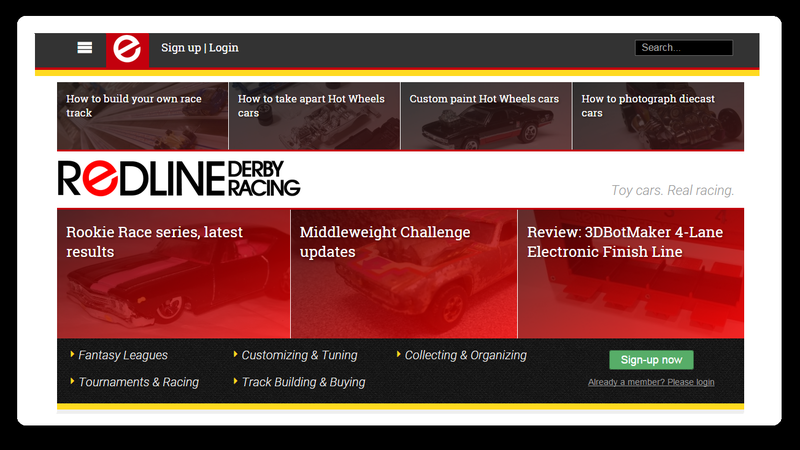 Racers may enter 1 team of 4 cars. There will be a $1 entrance fee per team. Cars due July 21, 2018. Racing will start the following week.